6 secondary schools are to benefit from a US$15 million loan from the Caribbean Development Bank. In addition to this loan, the CDB has also approved a grant for $500,000 also aimed towards developing the education sector. This is according to Hon. Anthony Boatswain, Minister for Education and Human Resource Management, at the post-cabinet meeting held on Tuesday, 15 March 2016. According to Minister Boatswain, the main purpose of this project is to “improve the quality and relevance of the education sector for national development.” The CDB conducted studies on a number of schools to evaluate their current status and improvements needed to be made. Hon. Boatswain stated that Phase 1 will comprise of multiple sub-components: the expansion and rehabilitation of 6 secondary schools, providing technical assistance to improve the efficiency of the operation of the education sector. The secondary schools said to gain from this are: St Joseph’s Convent, St George’s; J W Fletcher Catholic Secondary School; Bishop’s College; Grenada SDA Comprehensive, St Patrick; Presentation Brother’s College; and St Joseph’s Convent, St Andrew. For SJC St George’s, “we are looking at the construction of a major retaining wall,” Hon. Boatswain said, explaining that the school’s foundation is not as solid as it should be. The Grenada SDA Comprehensive, St Patrick, will be given a 2-storey science block, and another 2-storey block at JW Fletcher. A retaining wall would also be constructed for PBC as well as addressing their poor drainage system, and the wooden building at St Joseph’s Convent, St Andrew, will be replaced. Bishop’s College will receive the most construction with a 2-storey block comprising of a multi-science lab, classroom, principal’s office, secretarial space, staffroom, and a sick bay. Added to that, Hon. 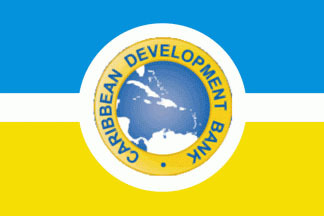 Boatswain said that there will be a “provision of technical assistance by the Caribbean Development bank to facilitate the final design and costing for the rebuilding of 2 of our secondary schools, namely the St David’s Catholic Secondary School and the Grenada Christian Academy.” The bank will conduct the social assessment and environmental impact assessment studies for these 2 schools. In the briefing, Hon. Boatswain also outlined the conditions Grenada needs to satisfy. He said, “the first one is that there must be a legal opinion and the authority of a signatory in relation to the loan and grant. Secondly, we must present to the CDB who are the designated signatories to the accounts that will be opened, and thirdly, we must establish a Project Steering Committee.” Each of the 9 schools are required to have a representative on the Steering Committee. Hon. Boatswain said that the loan is to be paid back with 2.7% interest rate, and the CDB has granted Grenada a 5-year grace period and 17 years to repay.